The Raynaud's Disease Silver Gloves are perfect If you suffer from Raynaud's Disease (also known as Raynaud's Syndrome and Raynaud's Phenomenon). 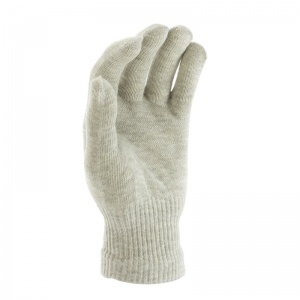 They're are seamless and contain 8% silver, which will help keep hands warmer and ward off Raynaud's Disease. Furthermore, the Raynaud's Disease Silver Gloves will also help with numbness, tingling and pain which commonly occurs where there is a constant cold. The Raynaud's Disease Silver Gloves contain Natural Pure Silver which minimises any radiative body heat loss by actively reflecting 95% of the body’s energy back to the skin. As silver has one of the lowest radiant heat loss rates, the silver contained within the Raynaud's Disease Silver Gloves will help keep your hands much warmer when compared to conventional products. 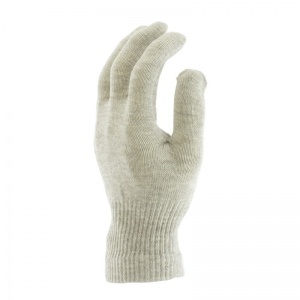 The combination of cotton and silver fibres create a perfect blend of warmth retention and heat regulation to counter Raynaud's disease. 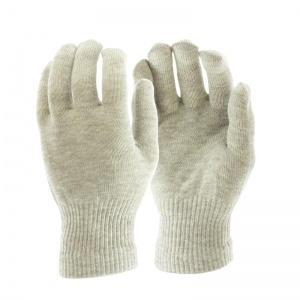 The Raynaud's Disease Silver Gloves can be hand washed at up to 30 degrees Celsius. Air dry away from sources of heat. These gloves are so much better and more comfortable than those rough silver gloves many years ago! So thanks! My partner has vibration white finger and find these an amazing help on cold mornings. Excellant buy. Suffered for years until I got told about these gloves. Well worth the money. Comfortable but as yet not had sufficiently cold weather to properly test the gloves. Good fast delivery, personally would have preferred black or navy colour. I use these for fishing keep wy hands slightly warmer. Let's see what happens when washed frequently. I bought these gloves as I have horses and when I tend to them at night just now in winter, my hands are so sore with ordinary gloves on. My fingers are pure white and numb and painful and take ages to warm up when I come in and it's just excruciating! I have noticed a big difference with the gloves, my hands are so much warmer and pain free. I put a pair of surgical gloves on top to protect them whilst working in the stables. I don't need to rush in to warm my fingers now! Gloves do keep my fingers warmer. I’d welcome a waterproof version as the material is not good if they get wet. Was a bit sceptical how these would work but they really do. I have Chronic Pain Syndrome and my hands get painful easily when the temperature drops. They made my hand pain from the cold go away quickly. I slept in them as that's when my hands hurt so much, they are comfortable and don't sweat you! 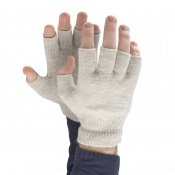 I bought these for my dad (who also has raynauds like me) but I love mine, they’ve really helped keep me going through cold winters. I wear the fingerless ones while I’m working too!